It is no secret many of us love eating sushi today. 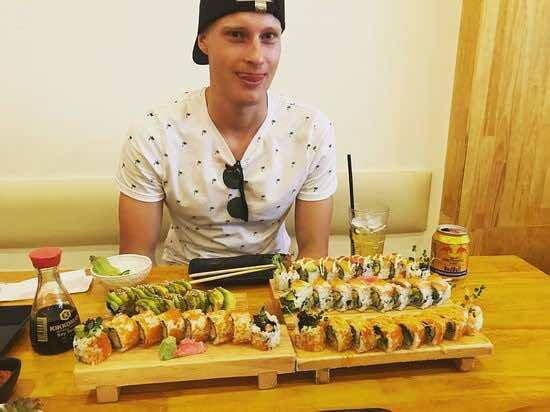 Sushi seems to be as popular as McDonalds. Sushi shops are literally located all over the world. Sushi is believed to have originated in Southeast Asia where people fish with rice in order to preserve the seafood. This spread to Japan around the 8th century: eating fish with rice was popular among Japanese. 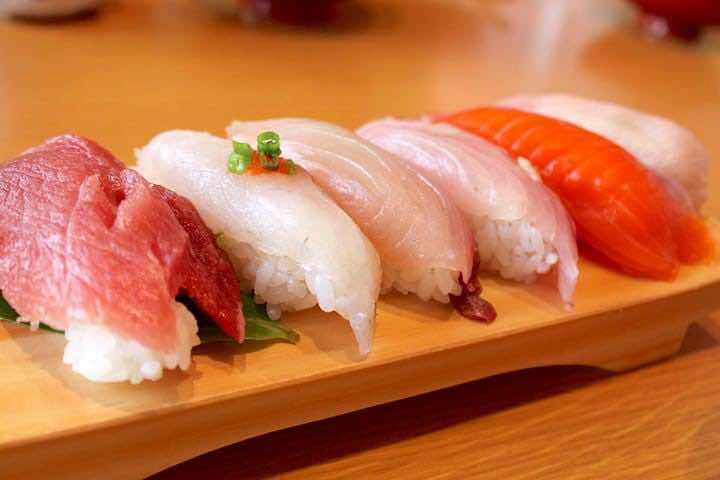 From then on, the Japanese experimented and created different types of sushi and this cuisine eventually spread around the world. And Ho Chi Minh City is no exception, thanks to a generation of more worldly youth, Japanese cuisine has started to spread. Undoubtedly, bite into sushi and you’re almost guaranteed to experience an explosion of distinctive flavors tickling your palate. Tangy vinegar-tinged rice, sweet mayonnaise, nutty sesame seeds, sweet-and-sour teriyaki sauce are just a few of them bound to hit your taste buds when you eat sushi – sometimes one at a time, sometimes all at once. 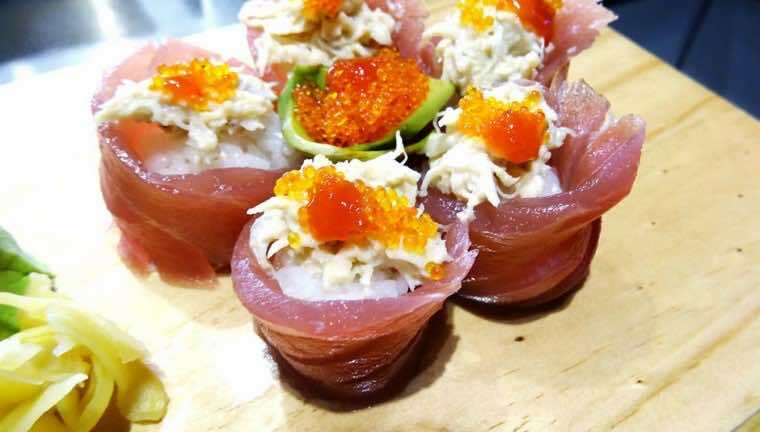 If you prefer cherishing authentic sushi and sashimi, please visit top Japanese Sushi restaurants in Ho Chi Minh city that are ranked considerably. Sushi Rei, 10E Nguyen Thi Minh Khai, Da Kao Ward, District 1. Japanese culture is deeply rooted in respect, humility and harmony with nature and Sushi Rei seems to embody this in all aspects. This is the ideal venue for sushi addicts. The service here is impeccable and the slightest look can have someone appear at your elbow asking in a hushed tone if there’s something they can help you with. A narrow 8-seat sushi bar occupies the first floor and a VIP room in the second which I’m told is very common in Japan. The intimacy of the place was offset by soothing jazz piano and modern contemporary furnishings which made me feel absolutely at peace but also seemed to heighten my sense of taste. 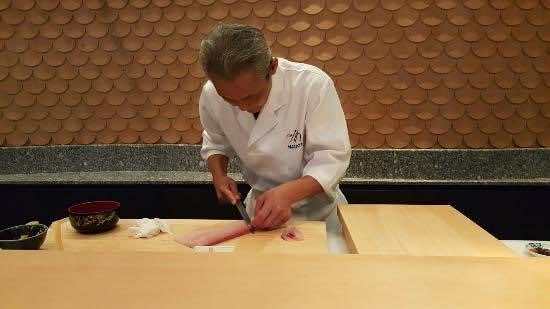 Their sushi chef will carefully choose every single ingredient for Rei from Tsukiji- a very famous seafood market in Japan. And with that finest ingredients combine to his exquisite talent, you will only be served the best Sushi from Rei. 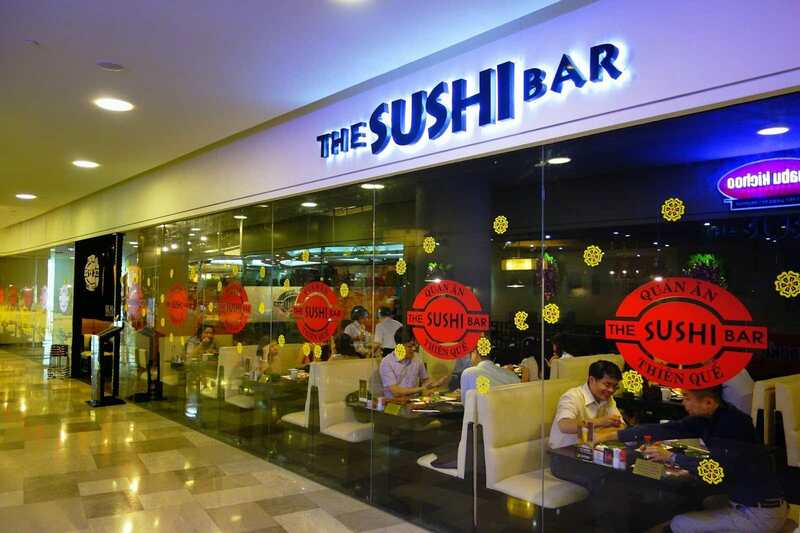 The Sushi Bar, 2 Le Thanh Ton, Ben Nghe Ward, District 1. One of the first Japanese restaurants to stake its claim in Saigon, the eponymously named The Sushi Bar is a master of what it specializes in – authentic Japanese sushi. As the restaurant started gaining popularity due to its high-quality sushi, sashimi and set meals, the demand got larger and new outlets were opened. The Sushi Bar is popular for their assorted sushi and sashimi sets, to say nothing of bento, rice and noodles. Here you’ll get a nice mix of colors and tastes that’s enough to fill you up for the day. If sushi is your thing, you will love this restaurant. It brings a new wind impresses patrons with the white-and-black classical ambiance, little red tone, and especially is the number-one sushi. The choices are extensive and while it can be a little expensive for Ho Chi Minh city, you’re expecting that if you’re going out for sushi. If you are an adventurous eater, you should give the monkfish liver a try. K Café, 74A4 Hai Ba Trung, Ben Nghe Ward, District 1. 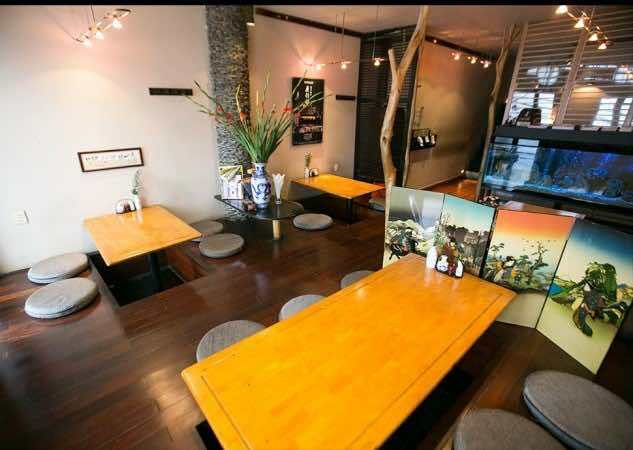 Owned by a Japanese expat and his Vietnamese wife, the restaurant is a small place of four tables and a sushi bar downstairs. K Café is one of the best restaurant in town that serves the best sushi, sashimi, curry and many more mouth-watering delicacies from the land of the rising sun. This is a frequent Japanese spot for many food lovers. Their attention to every detail and the high quality of ingredients used in all the dishes is second to none. Sushi Nhi, 21 Nguyen Cong Tru, Ward 19, Binh Thanh District. Sushi Nhi perhaps make a mockery of expensive, formal sushi restaurants. Right in the middle of a classic local neighborhood food street, the quality, variety and presentation is excellent. Prices are very reasonable and ingredients are crisp, fresh, and melt-in your-mouth delicious. This place is popular with Saigon’s youth, middle-class families and increasingly, expat. 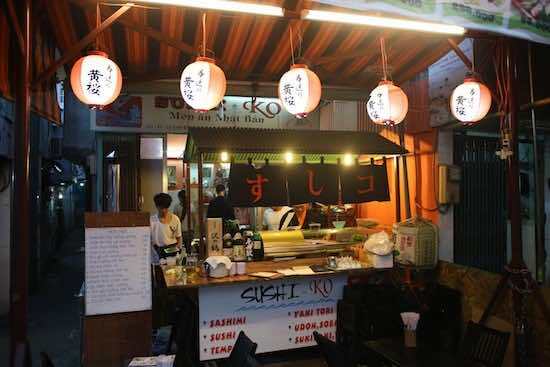 Located in the lively, trendy street food, Sushi Ko’s Japanese menu has been pulling in crowds of young Vietnamese and expats for a couple of years now. It has a large range of grilled and cold appetizers to choose from before just jumping straight into the sushi. The sushi, tempura and gyoza are fabulous and this sushi stall really makes the mockery of expensive price. Let enjoy Japanese cuisines in the top picks mentioned above and share your experience with us. It’s a great resource when traveling.